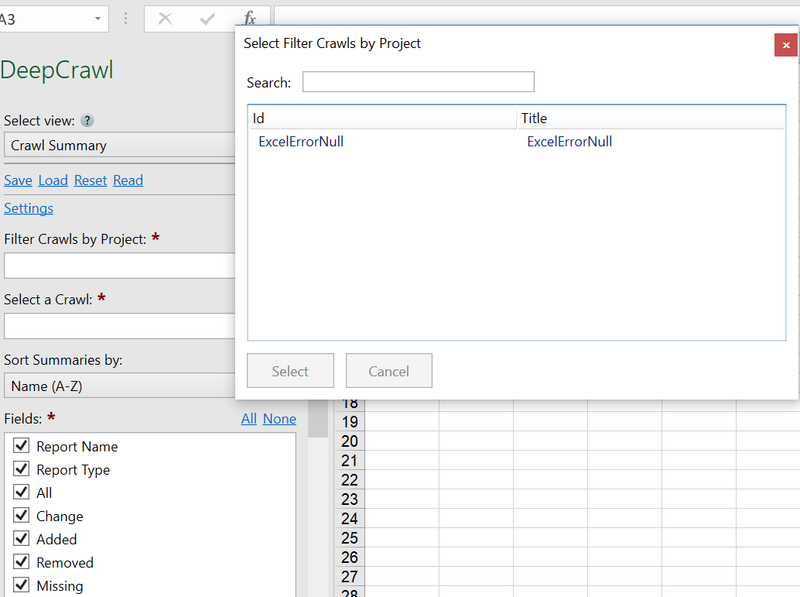 After I input my key/value pair in the settings and try to select a project I get "ExcelErrorNull"
I currently do not have access to the DeepCrawl API. Can you lend me your key/value so I can debug the connector? If so, please send me an email at victor@seotoolsforexcel.com. 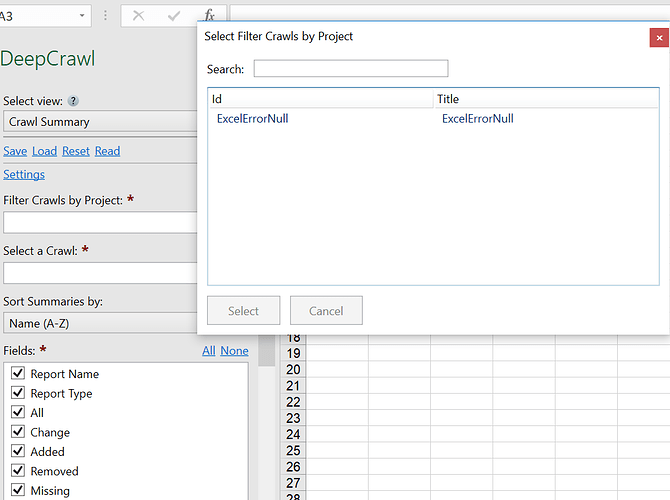 Deepcrawl connector has been updated for anyone else having issues.